Christopher Bosch is an associate in the Government Contracts, Investigations & International Trade Practice Group in the firm's New York office. Christopher's practice primarily focuses on securities regulation, compliance, and litigation, as well as internal investigations and white collar defense. Christopher frequently represents banks, broker-dealers, investment advisers, boards of directors, corporate officers, financial advisors, and other securities professionals in connection with internal investigations and inquiries by the U.S. Attorney’s Offices for the Southern District of New York and Northern District of California, the SEC, the CFTC, FINRA, the IRS, the FRB, the NY Department of Financial Services, and other governmental entities and self-regulatory organizations. He has counseled on a wide variety of issues and allegations, including insider trading, trading and position valuation, misuse of confidential information, unauthorized trading, money laundering and BSA/AML issues, retail brokerage sales practice violations, criminal and civil tax violations, and legal challenges posed by emerging technologies, including data privacy, blockchain, and cryptocurrency. 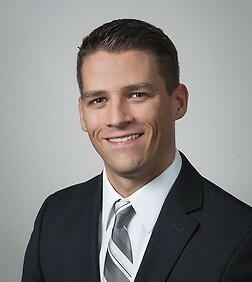 Christopher has represented organizations and individuals in connection with a wide variety of litigation, including grand jury and regulatory enforcement matters, as well as RICO, breach of contract, fraud, intellectual property infringement, and direct and derivative shareholder class actions. Christopher is actively involved in pro bono work at the firm, including the representation of individuals seeking asylum in immigration proceedings.